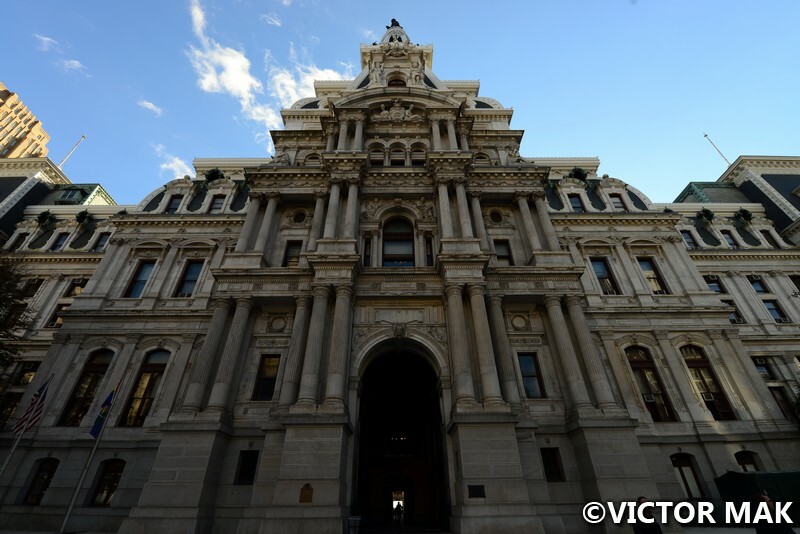 Philadelphia’s City Hall is one of our favorite buildings. 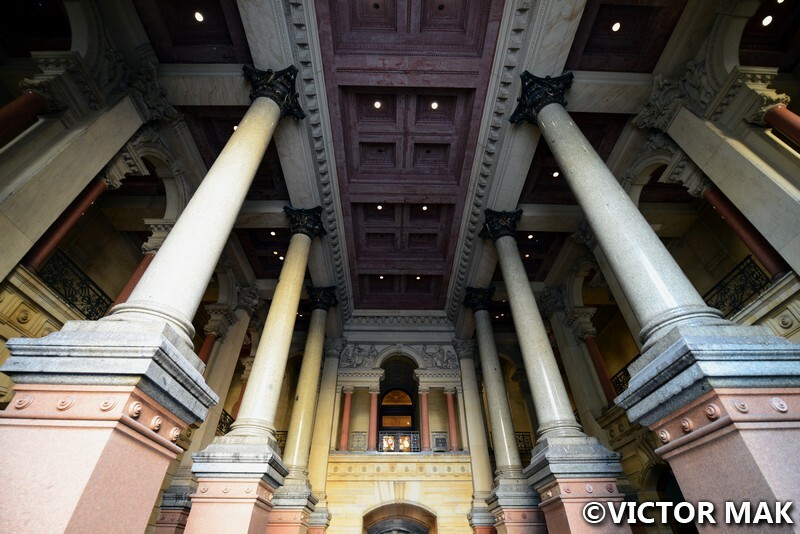 It’s the most ornate and largest City Hall in the country and was almost torn down two times. It’s located at 1 Penn Square and was the tallest building in the world from 1894 to 1908 surpassing the Eiffel Tower and Washington monuments. 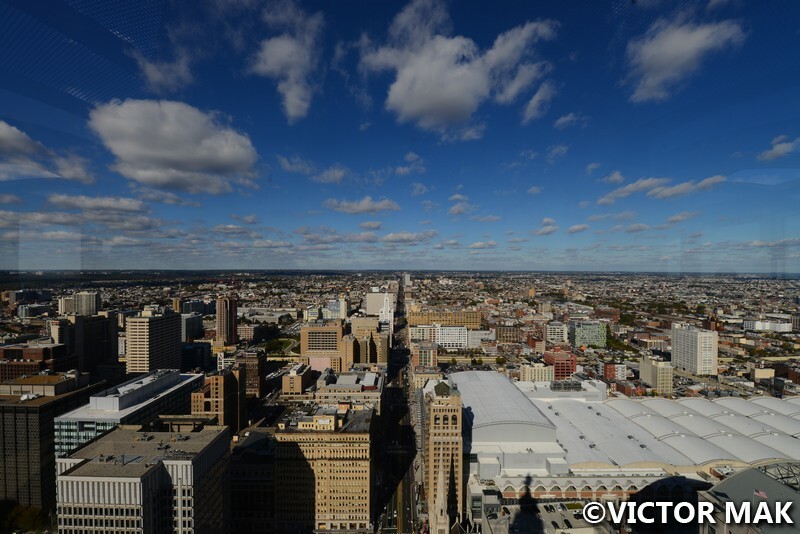 It remained the tallest building in Philly until the construction of 1 Liberty Place that formally ended the gentlemen’s agreement limiting the height of the city’s buildings (no building was built taller than City Hall until Liberty Place was constructed 1984-1987). 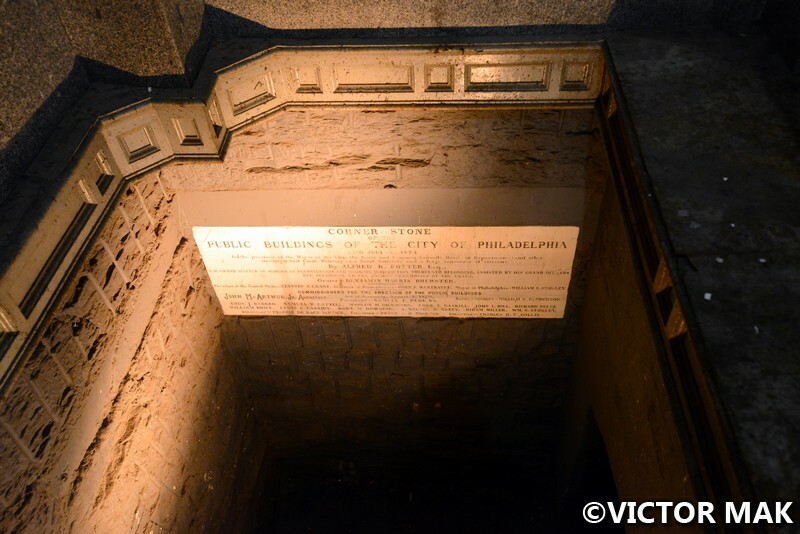 We’ve been to Philly countless times, walked by and through the building and then for our last trip discovered there was a tour that takes you to the top! The tour is a must for architecture buffs. 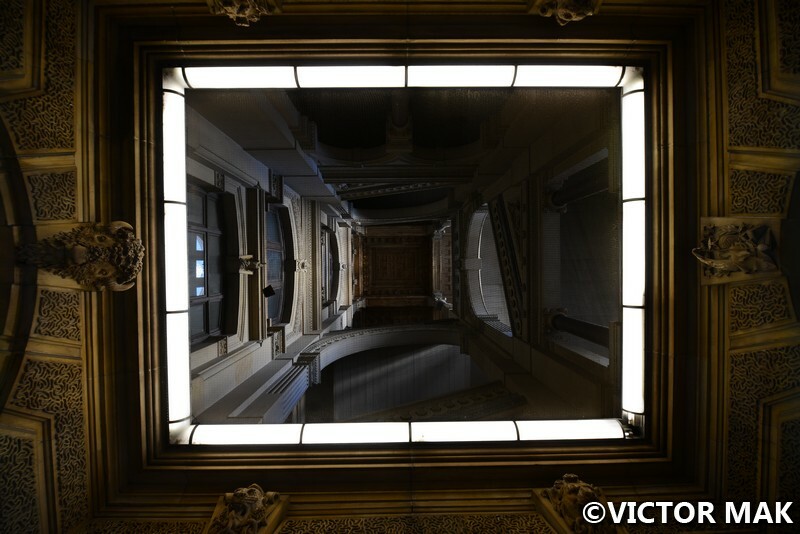 What the ceiling looks like on the ground floor halls. Since the Mole Antonelliana in Turin’s pinnacle collapsed, City Hall is the worlds tallest masonry building. They don’t build things like this anymore. 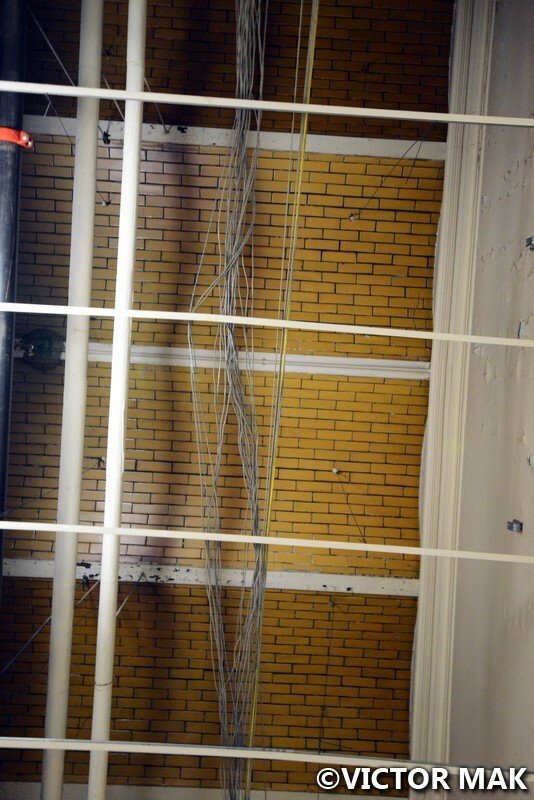 The walls are up to 22 feet thick and made of granite and brick. Construction started in 1897 and was completed in 1901. It’s the largest city Hall in the country with almost 700 rooms. 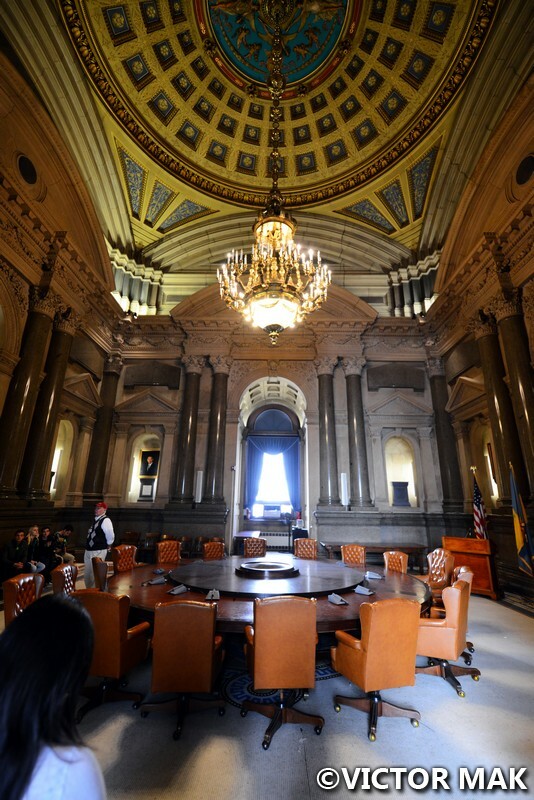 It houses 3 branches of government: the Mayor’s office (executive branch), Philadelphia City Council (legislature), and part of the judicial courts. 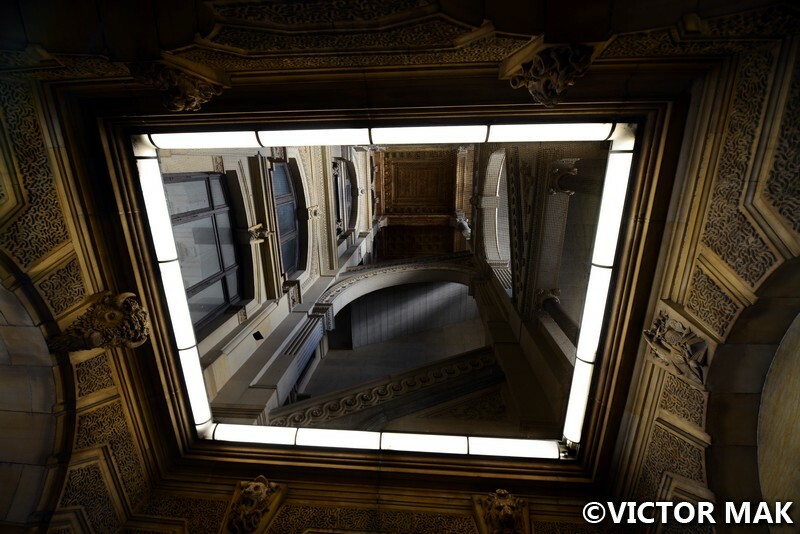 The wonders of this building are amazing. We took extra time at the end to explore. 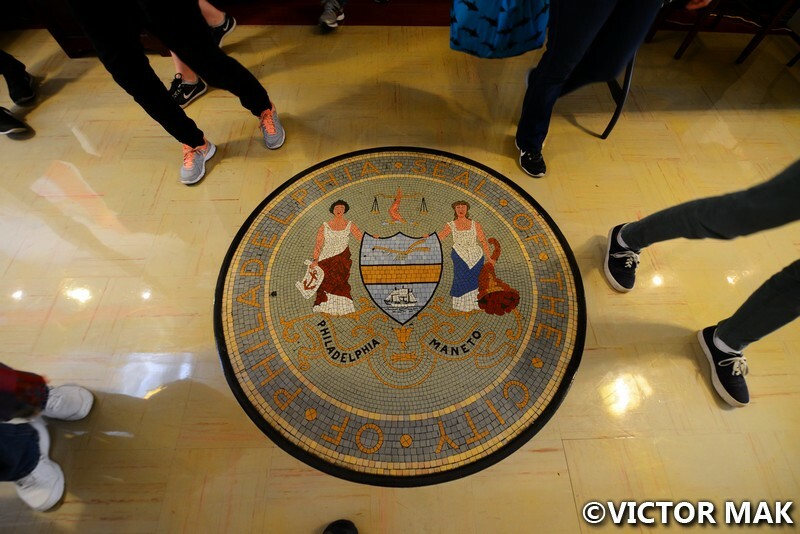 You can’t freely explore NYC City Hall so it felt a little weird but we were able to explore. 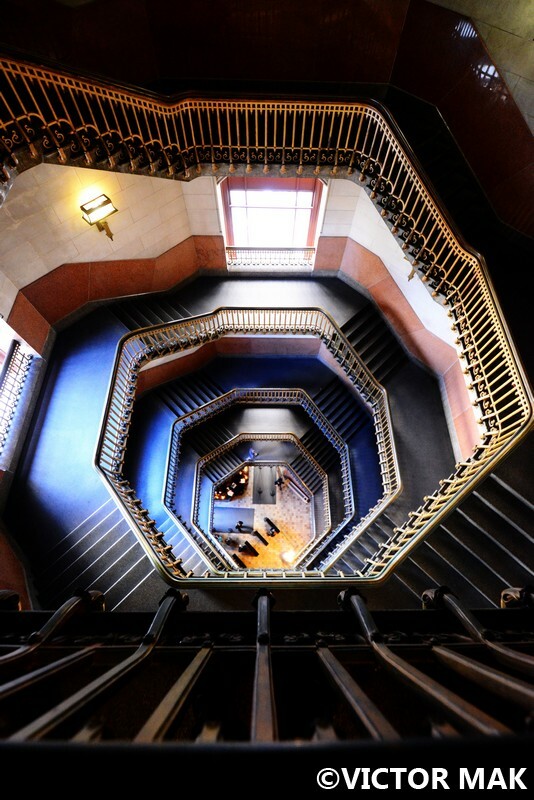 The way the staircases were designed kept us entertained. We just stood there for a little enjoying the details. The trip to the very top was the icing on the cake. Seeing the bricks and skeleton of the clock was amazing. 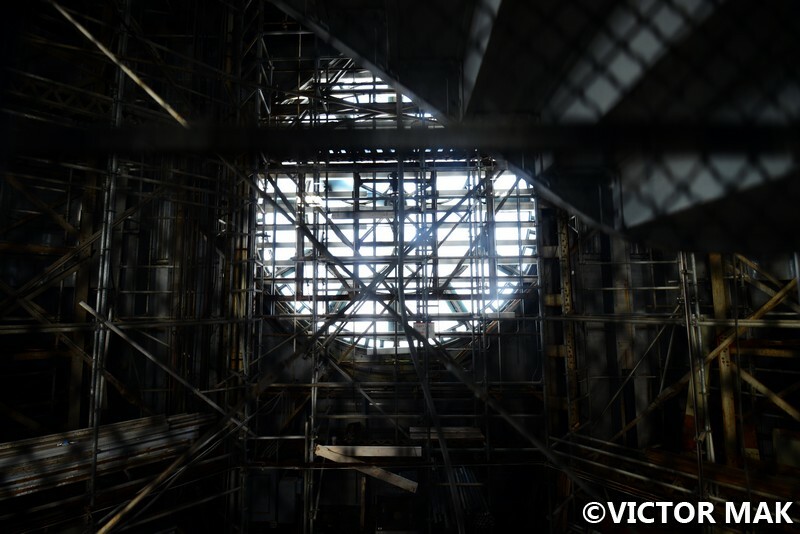 The clock is 26 feet in diameter and was designed by Warren Johnson. 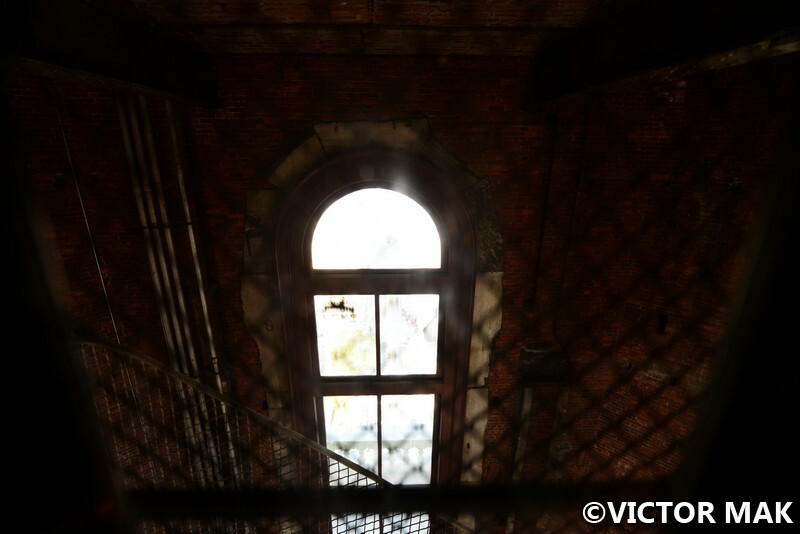 Riding up in the elevator you can see the wooden structures supporting the tower. There use to be decorative panels that crowed the top of the tower but were removed. The observation deck is 499 feet above street level. 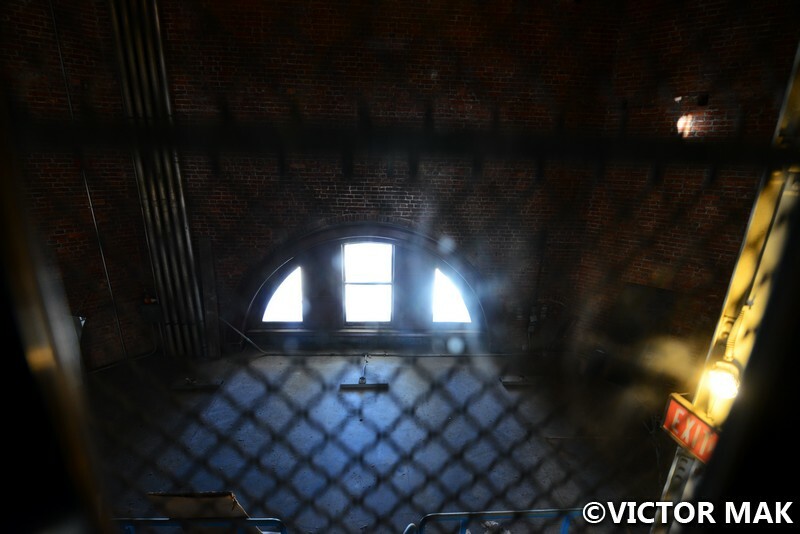 View of the clock from inside the tower, riding in the elevator to the observation deck. I really wish they still constructed buildings this way. We really appreciate the artistic workmanship. 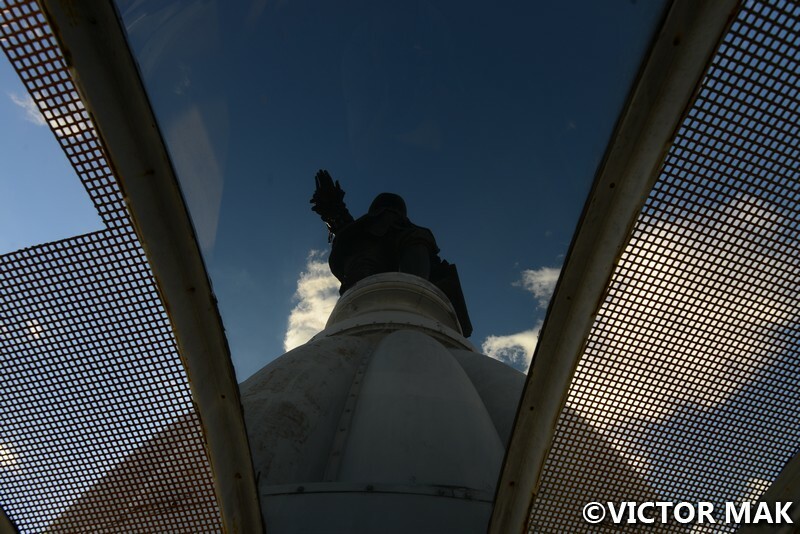 At the very top is a statue of William Penn. He was a Quaker and founder of the province of Pennsylvania. He believed in democracy and religious freedom. He was also known for having successful and good relations with the Lenape Indians. He had successful treatises with the tribe (according to wiki). Philadelphia was planned and developed under Penn. Back in England, Penn was imprisoned in the Tower of London many times for his religious beliefs. To read more about Penn, click here. Scottish immigrant Alexander Milne Calder sculpted the statue. it’s 37 feet tall and 27 tons. It took him 20 years to work on the statues of City Hall. Calder Studied at the Pennsylvania Academy of Fine Arts. 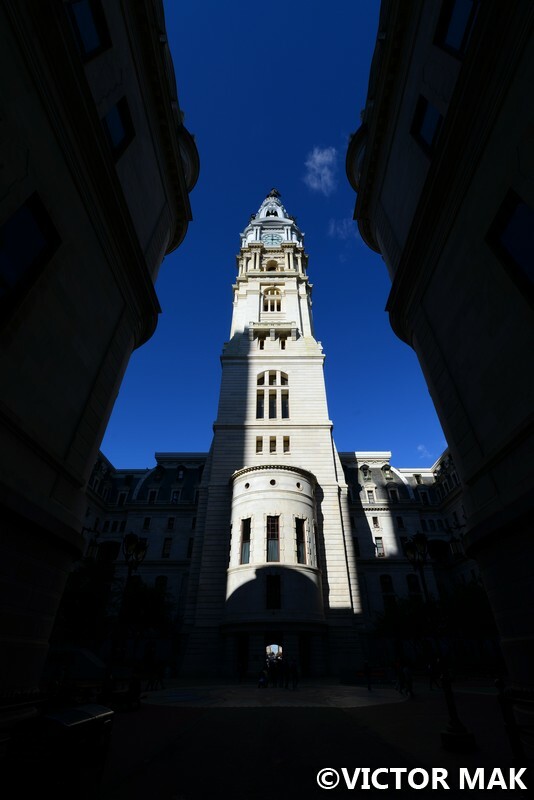 The Curse of William Penn is used to explain the failure of pro sports teams from Philly to not winning in championships since 1987 when 1 Liberty Place was constructed and broke the gentleman’s agreement of no building ever being built taller than City Hall. The Comcast building is currently the tallest building in Philly. To try an end the curse, two workers Dan Ginion and John Joyce, attached a small statue of William Penn to a beam along with the American flag. On October 29, 2008, the Philadelphia Phillies won the World Series against the Tampa Bay Rays. 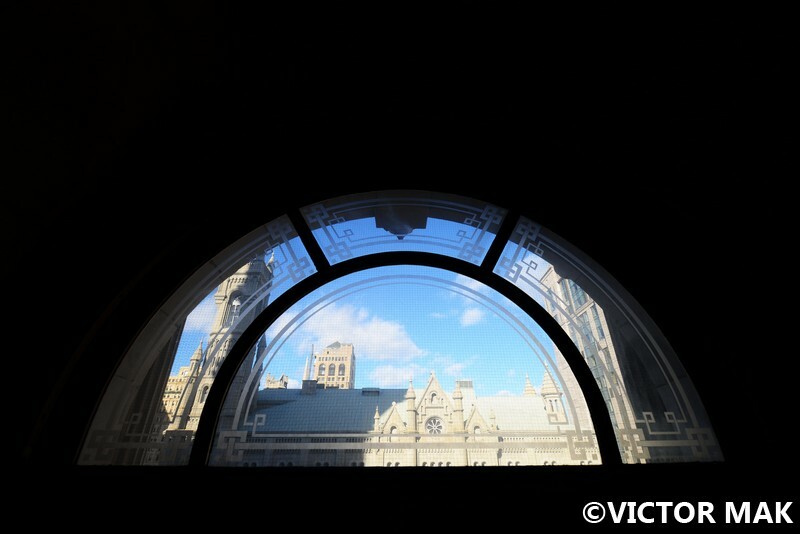 View of the Masonic Lodge from one of the windows. you can read about the lodge here. The building was almost demolished in the 1950s. They were thinking of tearing it down and rebuilding it elsewhere. But due to it being masonry construction it would have bankrupt the city. Thankfully, this Second Empire style masterpiece of John McArthur, Jr (Scottish born architect) was saved. It cost the city $24 million to build this beauty. Part of the building’s foundation. In 1976, City Hall became a National Historic landmark. In 2006, it was named a National Historic Civil Engineering Landmark by the American Society of Civil Engineers. The building finally got the recognition it deserves. Courtyard inside City Hall from a different angle. 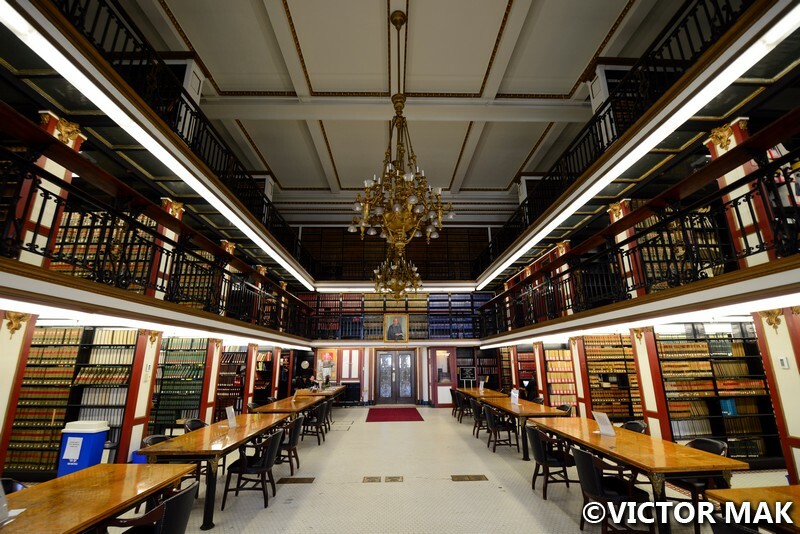 In 1992, City Hall went under renovation by the Historical preservation Studio of Vitetta Architects and Engineers. Hyman Myers was the lead historical architect. Most of the renovation were completed in 2007. 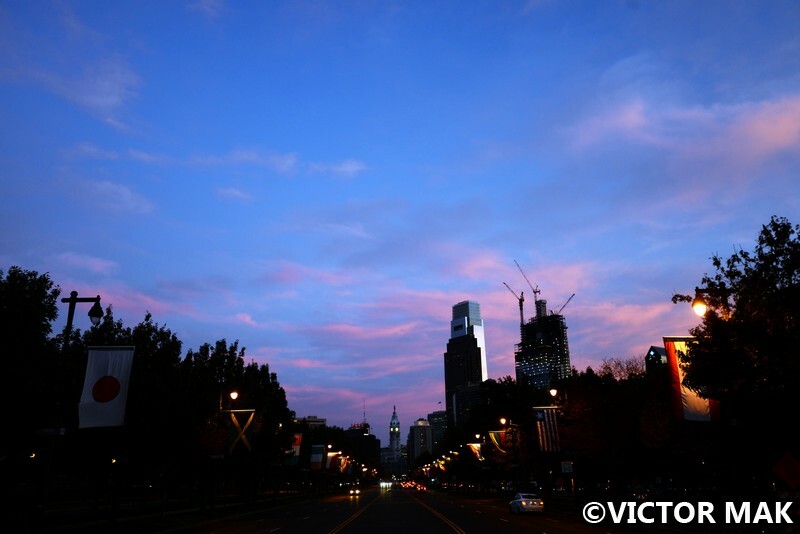 Sunset looking down Benjamin Franklin Parkway looking at City Hall, see the tower in the middle. 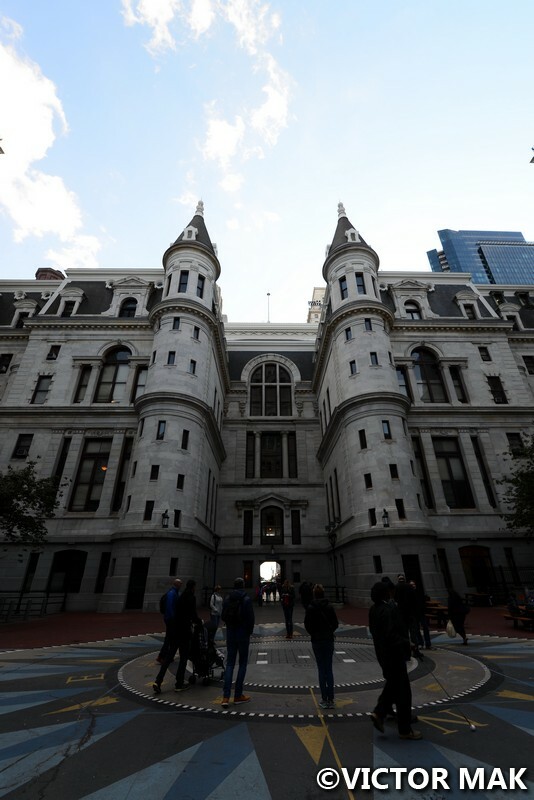 Posted on January 29, 2017 by jebusandandrea	This entry was posted in North America, Philadelphia, USA and tagged Architecture, City Of Brotherly Love, Explore, Getaway, History, Pennsylvania, Philadelphia, Philadelphia City Hall, Philly, Philly City Hall, Photography, Travel. Bookmark the permalink. Lovely pictures of the place. It has very interesting stories. At the end, I am glad it was not demolished. It would be very expensive to build the structure like that in the modern time. Thanks! We love this building. Philly’s a great city. I suppose after 9/11 a lot of NYC government buildings that are still actively used are mostly off limits. That makes this tour of Philadelphia’s all the more unusual. 🙂 It is a beautiful building; I’m glad tearing it down would have bankrupted the city, though it’s sad that was the only reason that kept them from doing so. 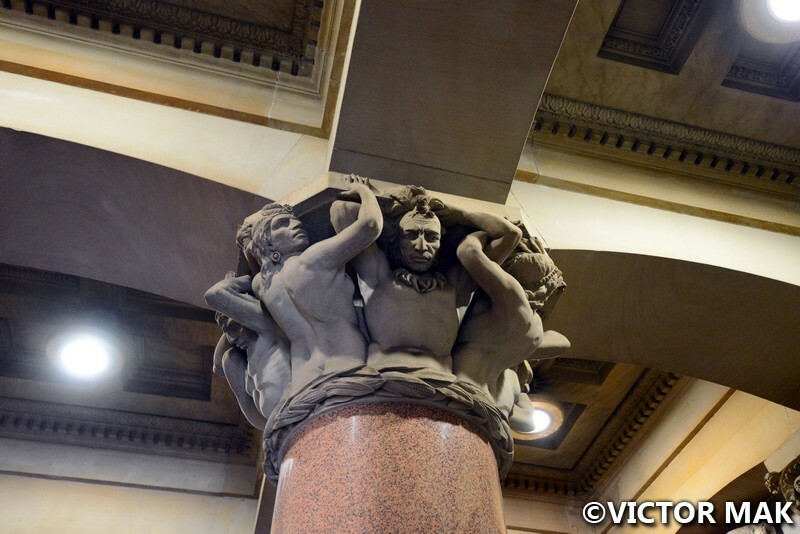 Why do so many metropolitan governments not recognize the heritage of old buildings? I had to chuckle at the Curse of William Penn. I doubt if he’d like American football or baseball anyway. We were shocked how we were able to walk around. I never gave it any thought back home. One day my mom said everything changed after 9/11 it’s not the same. Then I realized how many areas we use to play in as kids, my aprents played in the same areas as kids too. We’d run up and down steps of the court houses. The areas around the Police Headquarters use to be open and I use to play on those stairs too. A lot of gates, fences and tight security in all my child hood haunts. I’m trying to see if they have tours at NY’s City Hall. It’s not as pretty as this one though. 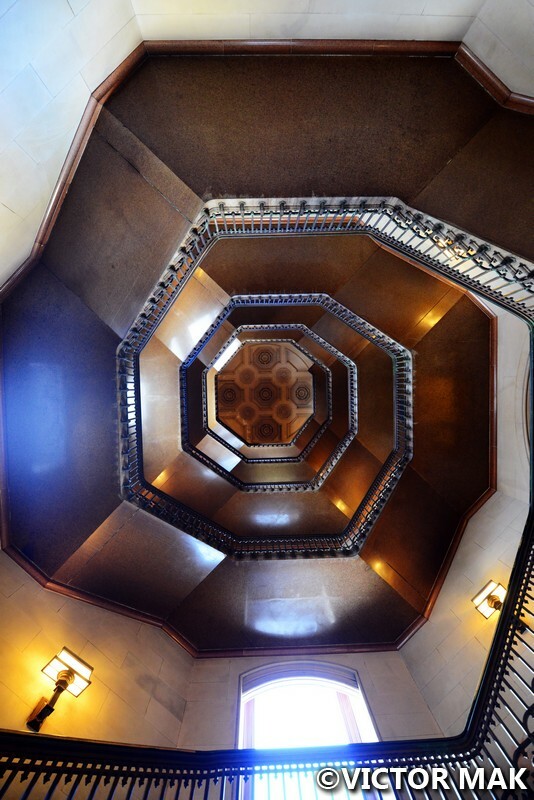 I really enjoyed looking at the different angles of shots you took, including all the one of the stairs. Thanks! It’s a stunning building. We just stood at the top and bottom of the stairs cases when we were done with the tour. We were impressed by the character of the building. So much history in a single building. Thank you for sharing! Thanks for stopping by. It’s a great city for history buffs. We love walking around the tiny streets with homes built in the 1700s. The food is really good too. The best thing about Philly is our architecture and history. 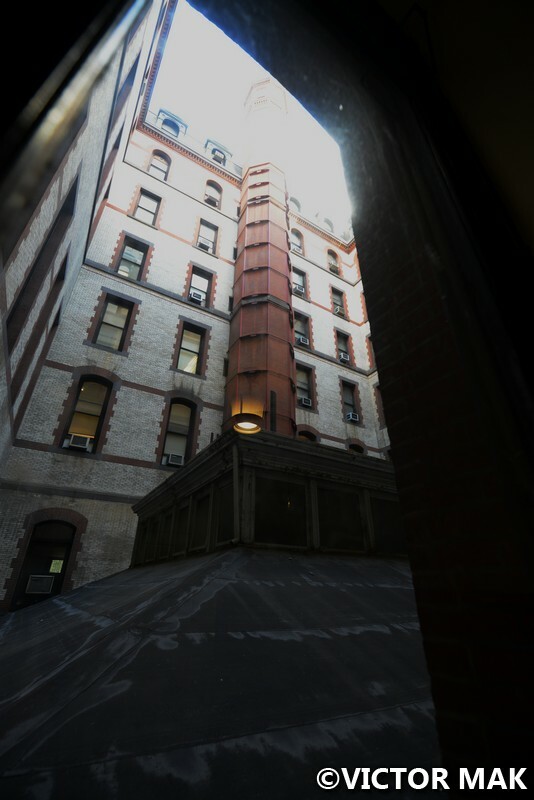 You can literally find great buildings in every part of the city! City Hall is my favorite and I’m glad that others come here and appreciate it. These are some awesome pictures, btw. You have a great eye. Thanks for spotlighting one of the most interesting things we have here. There’s plenty more to see so I hope you keep coming down and take more pictures. We LOVE Philly. We’re native New Yorkers and loved the city when we grew up but it’s not the same anymore. We really like Philly more than NY. You guys preserve your history better than we do. We visit 2-3 times a year. Every October we like to go to Terror Behind the Walls. We’ll always be back. Great photos and incredible information! Thank you! I hope one day I can see it personally! It was an accident we found the tour. Think we noticed it on the Philly Pass site. Thanks for stopping by! The food is great in Philly too. Great photos and narrative. I am highly motivated by your post. One day soon I shall take a tour inside. 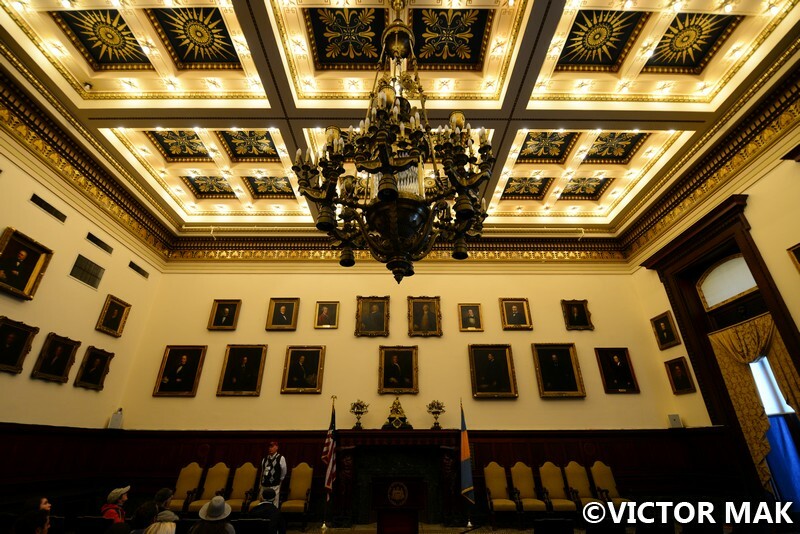 In 2015 Philadelphia became the first and only city in US to gain the elite title of World Heritage City, joining the likes of Paris, Prague and Florence etc.The Independence Hall has been an UNESCO heritage site since 1979. 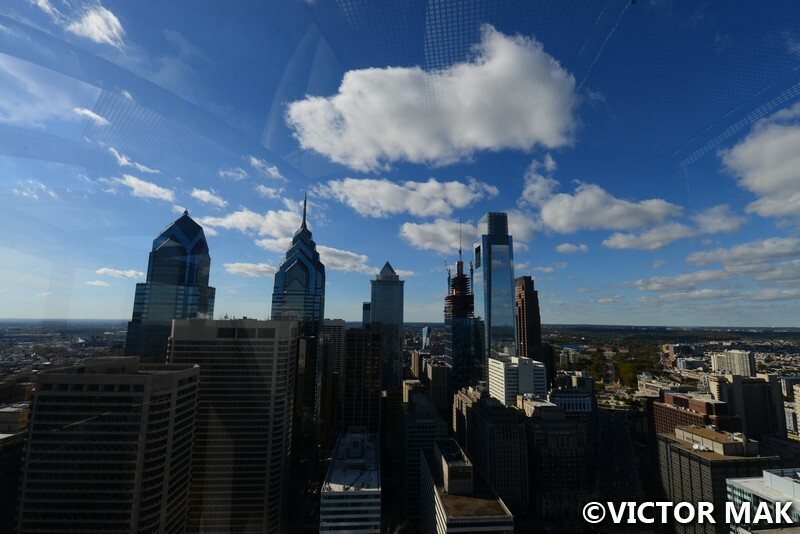 Philly is a great city, and we all LOVE Philadelphia! Thanks for your awesome coverage.